JDM EXPO is now in the USA! We are proud to officially announce the opening of our USA branch – JDM EXPO NY – soon to be the USA JDM fans’ top source for Nissan Skylines, Supras, NSX, RX7 and many other JDM cars for sale! JDM EXPO NY is a company in upstate New York that assists in the importation of JDM cars to the USA, and arranges the transportation of JDM cars to the front door of its new owners. 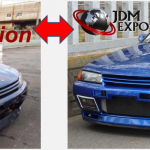 Along with having a rotating inventory of JDM EXPO cars on hand and ready to bring home, JDM EXPO NY also provides the services of sourcing and purchasing JDM cars in Japan. 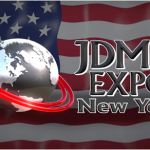 Click HERE to learn more about JDM EXPO NY. 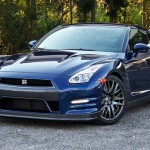 Being the official representative of the largest JDM sports cars exporter in Japan, JDM EXPO NY has a number of distinct advantages over the other USA based imports. Those advantages include cost efficiency since since unlike others, its operations doesn’t include the use of middleman, and its access to a large inventory of JDM sports cars in Japan with recently completed state-of-the-art repair & tuning facilities. Furthermore, its only through JDM EXPO NY, the USA buyers are given the option to work with Stateside company while directly purchasing their car from a reputed exporter in Japan at the most competitive market prices. To learn more about our inventory cars in Japan, click HERE Another advantage of JDM EXPO NY is what we call Try Before You Buy Program which exclusively available at JDM EXPO NY. This program allows USA based customers to pick out a car in Japan and have it imported to the USA through JDM EXPO NY and then inspect the car in person before completing the purchase. 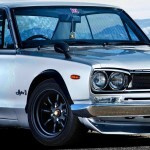 It is important to note that until now, no other company has been able to offer this kind of security and benefit when looking to buy 25 year old/older JDM cars.